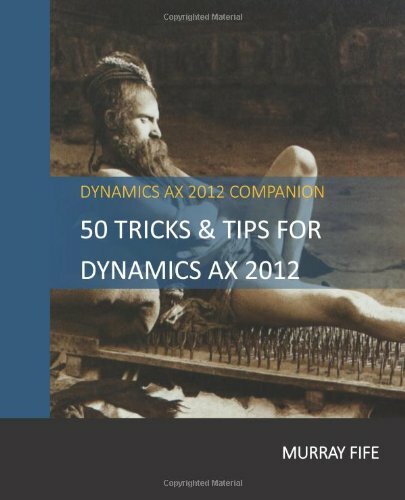 The product thumbnails within Dynamics AX are great, except for only one thing. The developers seem to have taken the thumbnail size to the extreme, and they are a little too small to see in detail. There isn’t a simple flag in the system that allows you to resize the image to make it more readable, but if you want to live life on the edge, there is a tiny coding change that you can do that will solve the problem. Dynamics AX is truly a multi-lingual system, and switching the language that the client uses is just a matter of changing the an option. There are usually a lot of different configuration choices that you can make choose from when you are performing updates and postings within the Dynamics AX forms. But you probably only use one option on a daily basis. Rather than going in and changing the selection parameters every time you open up the form, Dynamics AX allows you to set the default values and from then on you will always have the right parameters in your form. Lifecycle Services is the backbone to your Dynamics AX implementation since it allows you to model all of your business processes, and also track any changes that you may be making as you are getting up and running. It also has an option to attach documents to your projects and business process models. But the documents are stored within Lifecycle Services as links, and not as uploaded documents – probably because Microsoft doesn’t want you filling up LCS with attachments. That’s not a problem though because if you use OneDrive as your document filing system, then you can easily link them into your LCS projects and everyone has access to them without a problem.